How Do I Test My Water for Contaminants? Contaminants are any sort of physical or chemical substance found in water that may cause the water to look cloudy, have odors, or leave behind stains on sinks and water-using appliances in the home. 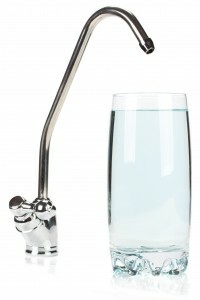 If you are noticing these, or any other problems with your water, it is quite possible that contaminants are present. Not only is it important to find out whether your home’s water contains contaminants, but it is also crucial to find out what the contaminants are. Different contaminants require different solutions. For example, if the water has an unpleasant metallic taste, the culprit could be the presence of iron, which can be addressed by having a whole-house water filter installed. If the problem is the water leaving behind stains on dishes, then the issue might be caused by the presence of calcium and magnesium, which makes your water “hard.” Thankfully, this problem can quickly be addressed with a water softening system. RainSoft offers multiple drinking water systems and water softening systems that can address contaminants in your water. Our products are Tested and Certified by the Water Quality Association, a third party organization that tests water treatment products and certifies that they work as advertised. Our water filters can remove contaminants in your water such as chlorine added by municipalities, VOCs, and chemicals that have seeped into ground water, or iron and sulfur that can cause adverse odors and tastes in your water. Our water softeners remove calcium and magnesium so that your water rinses more cleanly and no longer leaves behind stains and residue. To find out if your water contains contaminants, contact RainSoft today to schedule a complimentary in-home water test.